WOrst hotel apartment I have ever stayed. Reception keeps calling to check for visitors, pool is dirty as well as the steam room. Didn't use it. Electricity keeps going off and many lights are not working. Not recommended to anyone. Booked 1 BR apartment as we are family for the New Years Eve. Visitor is not allowed (which is unusual for a hotel apartment). Hotel reception keeps calling at 3:00 in the morning, just to check if we have more people staying. Our kids woke up from the telephone call and ended all of us not able to sleep. I will never ever stay in this hotel again and definitely not recommend to anyone. I was a quite stay. I enjoyed the balcony a great deal. I only have 1 negative thing, the bed as very uncomfortable to sleep on. This should be addressed asap. not so satisfactory. The hotel was not worth the rent paid. Could be the chosen date (Jan 1) that raised the hotel rates. May use again when going through Dubai. Very hard to find hotel but it is worth it. 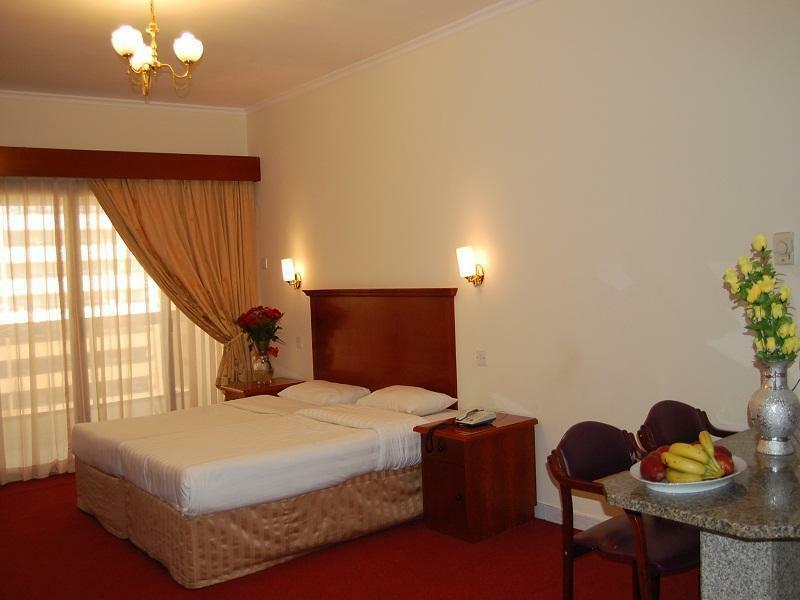 The apartment hotel well located in the heart of Dubai and close to Burjuman Metro. 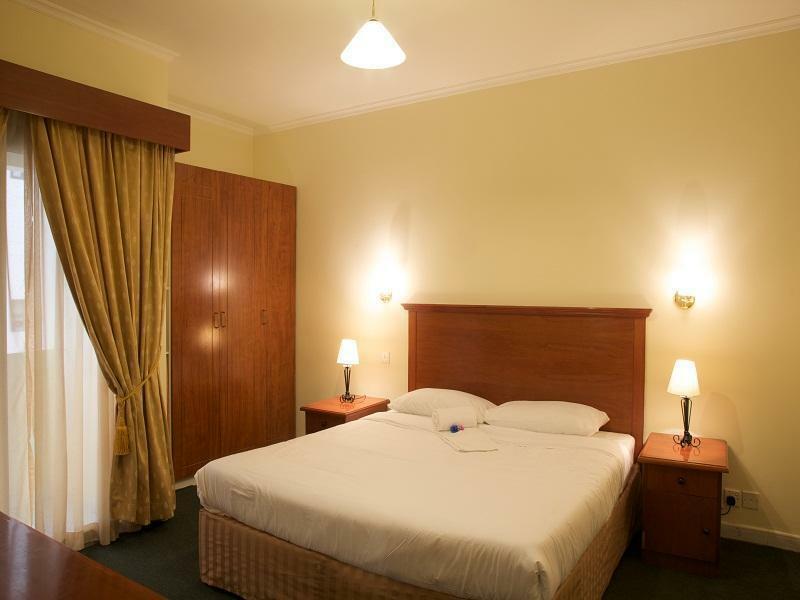 The rooms are spacious and there's ample choice of restaurants nearby, for delivery. However, the rooms require renovation and could be maintained better. Friendly accommodating staff. Room service was efficient. appliances were outdated and outlets were scarce. The bathroom shower situation was inconvenient - left the entire bathroom flooded. Bed were uncomfortably hard. Balcony was a plus. The staff is terrific and is always ready to respond. The hotel is simple, yet functional and had all the basic amenities. It is centrally located and we enjoyed the stay. Staff is extremely courteous and promptly answered all the queries and went more than their way to see a customer satisfied. Haben sie jemanden, den sie zum Tod nicht ausstehen können, dann schicken sie Ihn dort hin!!! Diese Haus verdient definitiv nicht den Namen "Hotel". Der erste Eindruck von aussen war gar nicht so schlimm. Aber finden sie erst mal den Weg dorthin, da dieses Haus nicht mal eine Adresse angibt, wir wissen jetzt warum. Denn das will man nicht freiwillig finden. Der Gang und der Fahrstuhl erinnern an die unterste Etage in einem Krankenhaus, oder einem schlechten Metzger. Dann kam man aber noch in die Zimmer. Tür auf und es stank so abartig, dass ich kurz davor war mitten in den Raum zu kot..., wahrscheinlich hätte dies das Zimmer noch aufgewertet. Die Küche war noch das Beste im Raum, bis man den Kühlschrank öffnet und einen schwarz-grüne Dichtung anlächeln. Der Weg ins Bad (man sollte sich diesen Anblick ersparen) war gefährlich durch nicht isolierte Kabel die aus der Wand ragten und dann dieses nette Tennisball grosse schwarze Loch über der Dusche erweckte kein Vertrauen. Machen wir es kurz, nach dem man die Bettdecke zurück geschlagen hatten und dort eine Vielzahl kleiner gekrauster Haare vorfand, stand fest, dass wir dieses Gebäude in weniger als 1 Minute verlassen müssen !!!! BITTE GEHEN SIE NICHT DORT HIN !!! สถานีรถไฟใต้ดิน Burjuman - ระยะ 0.48 กม.